This edition of our newsletter is a little Burma-centric. Secretary of State Hillary Clinton’s visit to Burma two weeks ago is the first by such a cabinet member since John Foster Dulles went in 1955. 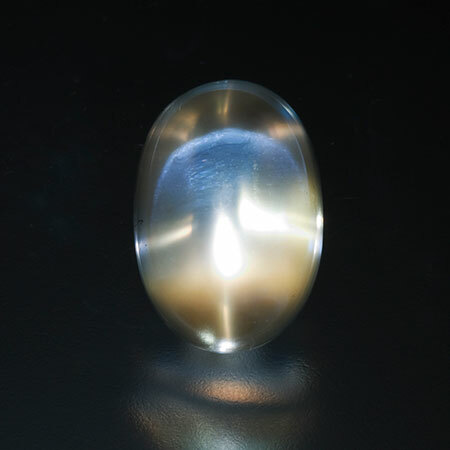 To mark the occasion we offer a special star moonstone from Burma that is certain to enchant. Then we move back in time with more writing from Martin Ehrmann, accompanied by full-color slides from his collection. 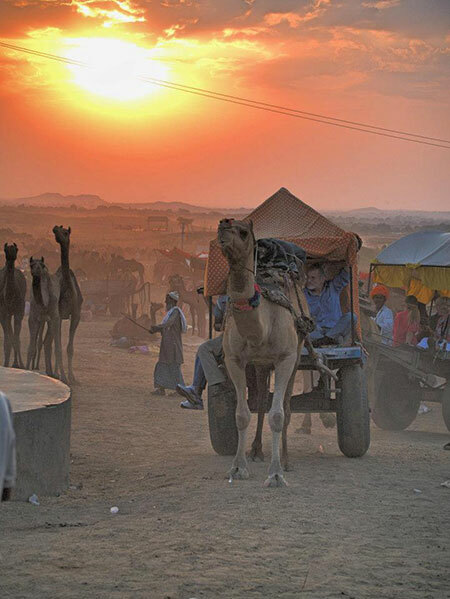 We then look to the future of a Burma on the move—with speed bumps ahead. There’s much more, too, as you can see. And, finally, let’s take this opportunity to say “Thank you” to all our clients, colleagues, contributors and collaborators. Happy Holidays and an Auspicious New Year! A phenomenal phenomenon. To understand what properties are at work here, we must start with feldspar, the most common mineral group found in the earth’s crust. Then we bounce light off the prism-like features that make up the crystalline structure within this gem and we illuminate the adularescent effect: a glowing, billowing light that seems to dance across the moonstone. As these internal structures start to line up in a repetitive pattern the light begins to concentrate and is refracted back out upon the surface of the stone as lines that form rays of the star. 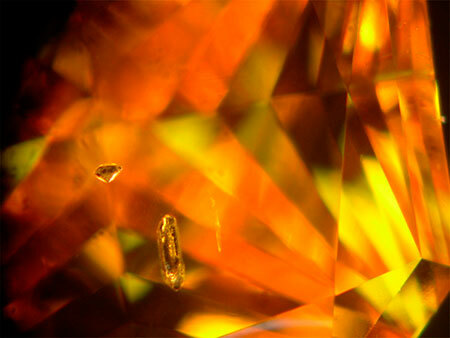 This is a common mineral with uncommon symmetry, filtering and focusing the light in a brilliant interface. 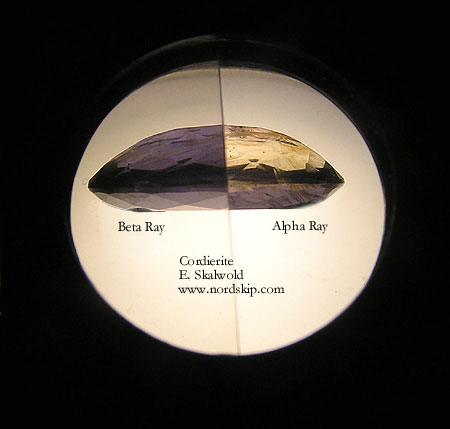 The bottom half of the moonstone shows three rays of the star and a golden adularescence, while the upper half exhibits some of the blue sheen and traces of the star formation. The pattern morphs continuously as you move the light source above. The adularescence and star seems to float above the surface of the moonstone like the glow of a candle. Earlier this month, on our mining blog, Will Larson posted plats for the Esmeralda Mine and for Pala’s newest mining venture, the Mountain Lily Mine. The Mountain Lily also has been known as the Ware as well as the Emeralite No. 2. 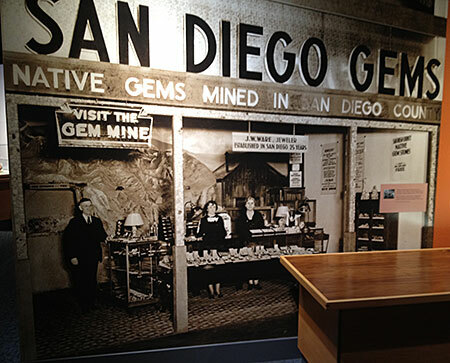 That reminds us: there’s a huge photo enlargement of jeweler-turned-miner John W. Ware at All That Glitters, the ongoing exhibition at the San Diego Natural History Museum. As a New Yorker, Ware saw the opportunity in San Diego County and relocated there in 1910, opening the store pictured below. 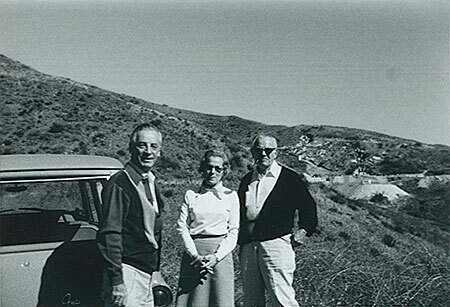 In “California Gem Mining: Chronicle of a Comeback,” David Federman wrote that Ware was a role model for Pala International’s Bill Larson. No, we’re not repeating ourselves. All That Glitters is a trade journal that last month featured guest editor Dr. Jayshree Panjikar, proprietor of Pangemtech, a gem lab and tech institute in Pune, Maharashtra, India. 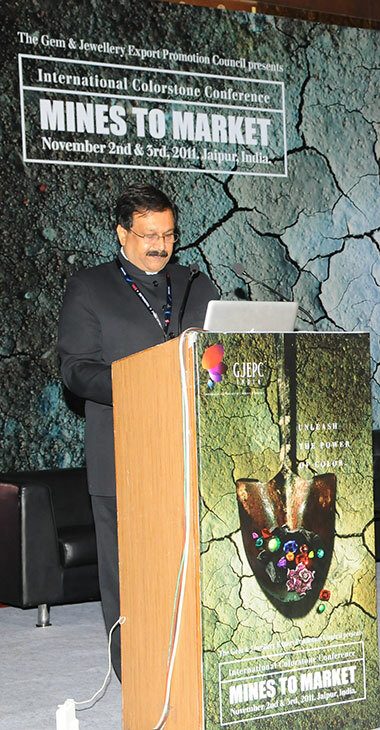 Dr. Panjikar, who was involved in last month’s Mines to Market conference in Jaipur, asked several attendees from around the world to discuss colored gemstones. Pala’s Bill Larson’s busy schedule prevented him from attending, but he nonetheless is included, with a look at San Diego County’s gemstone mining and more. 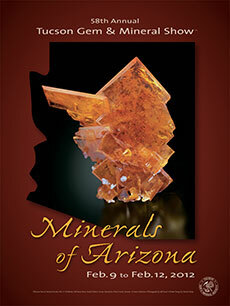 Currently online for subscribers of The Journal of Gemmology (Vol. 32), is “Chemical and growth zoning in trapiche tourmaline from Zambia – a re-evaluation” by Dr. Karl Schmetzer, Dr. Heinz-Jürgen Bernhardt and Thomas Hainschwang. This paper is the most recent and certainly one of the finest to come out regarding the rare trapiche growth phenomenon, i.e., a pattern displaying clear, separate and distinct growth sectors, this time in tourmaline. Most significantly, it follows up on one of its co-authors’ earlier papers published in the Spring 2007 Gems & Gemology (Vol. 43, No. 1, pp. 36–46), entitled “Trapiche Tourmaline from Zambia” by Thomas Hainschwang, Franck Notari and Björn Anckar—the two certainly should be kept together in the gemologist’s reference library (mine are filed under weirdites). Trapiche growth is seen so far in just a very limited number of minerals including Mong Hsu rubies, andalusite and beryl—most notably emerald, but also aquamarine such as the extraordinary Namibian crystal cluster that John Koivula showed me in 2009 (this specimen was reported earlier in “Inclusions in Gems: Two unusual aquamarines,” G&G, Fall 2008, Vol. 44, No. 3, pp. 275–276); the latter’s type of growth presentation and ones like it are discussed in the present paper. * As anyone familiar with Dr. Schmetzer’s wonderful crystal drawings (found in his Alexandrite book and in his recent publications) will certainly agree, this paper’s numerous illustrations will appeal to all interest levels and will help illuminate this complicated natural wonder. The paper begins with an introduction followed by a section on external morphology, which divides perpendicular-to-c-axis slices into three types (one of which is shown below). A geometrical description of the trapiche pattern is then discussed, also using slices of the three types cut perpendicular to the c-axis. 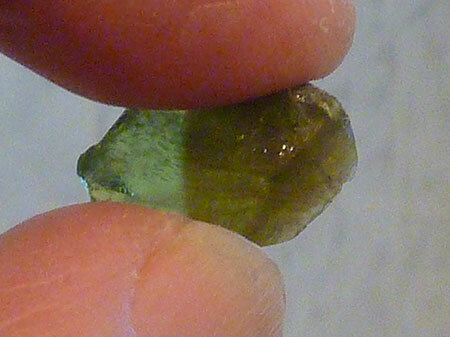 Inclusions—key to the trapiche pattern—are examined next. 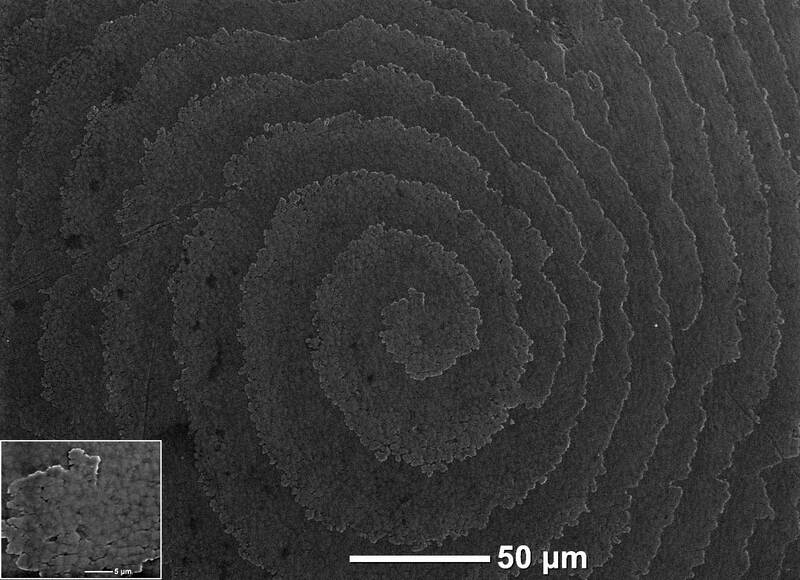 Chemical composition is then evaluated; nearly 3000 point analyses were obtained using an electron microprobe. (This section comprises about seven of the study’s 23 pages.) The paper concludes with a discussion that ties the various aspects of the study together. It compares the present material with other trapiche types, and compares previous suggestions for the pattern’s formation. 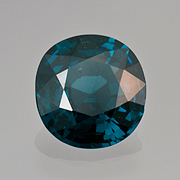 Their analyses show two intergrown tourmalines with different chemistry and it is concluded that this represents two growth stages or growth generations of the tourmaline. This section also includes a thoughtful look at nomenclature, distinguishing between two different mechanisms of formation in various materials that all have been named trapiche—with a suggestion regarding how to refine the term. For a look at an even more complicated trapiche growth, which the present paper’s authors admittedly refrain from discussing due to its complexities beyond the scope of their discussion, see “Sakura Ishi (Cherry Blossom Stones): Mica Pseudomorphs of Complex Cordierite-Indialite Intergrowths from Kameoka, Kyoto Prefecture, Japan,” Rocks & Minerals, July/August 2006 (Vol. 81, No. 4, pp. 284– 292), by John Rakovan, Masao Kitamura and Osamu Tamada. 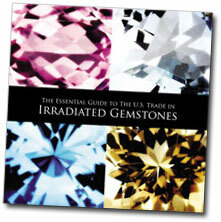 Note: Elise Skalwold is the recently appointed Editor of The Journal of Gemmology. Years ago, your editor knew a guy in Hollywood, a poet and actor, who had a vintage image of Elizabeth Taylor on his wall. Below it, a one-word caption: God. Indeed, when Liz was at her best, who could top her? Even in her absence, Elizabeth Taylor makes headlines—this week, by setting seven world auction records at Christie’s in a sale of Taylor’s collection, billed “The Crown Jewels of Hollywood.” Among the seven: a world record for the most valuable private collection of jewels sold at auction. A stellar performance. 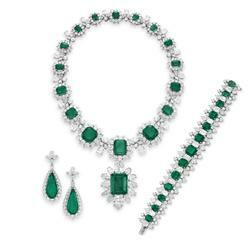 When we last looked at the collection, we focused on Taylor’s love of emeralds. It’s fitting, then, that a single 23.46-carat emerald from Bulgari (Lot 29) set two world auction records—for an emerald, and for an emerald per carat. It went for nearly $6.6 million, or $280,000 per carat. The emerald and diamond necklace from Bulgari that Richard Burton bought Taylor while shooting Cleopatra in 1962 (Lot 28) fetched $6.1 million. The New York Post quoted unnamed sources as saying that Bulgari had a private box at the New York sale from which it anonymously bought back about $20 million of its own creations, including the latter necklace. Per the Post, Bulgari also retrieved its sapphire and diamond sautoir (Lot 72) featuring a 52.72-carat sugarloaf cabochon sapphire from Burma. 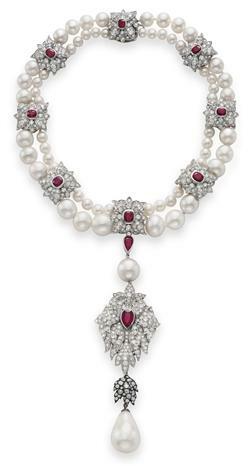 A gift from Burton to Taylor on her 40th birthday in 1972, the pendant brought in $5.9 million—nearly ten times the low end of its estimate. …with apologies to Joan Baez. 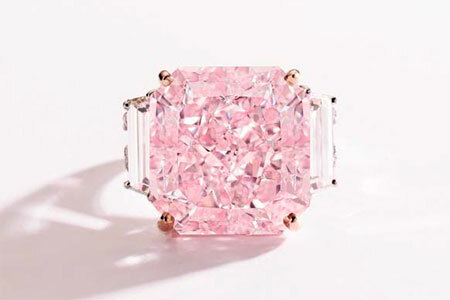 Pink Clinker: Colored diamonds have been hot auction items, but last week’s Magnificent Jewels sale by Sotheby’s in New York failed to match stone with shopper in the case of a 22.17-carat fancy intense pink diamond ring. In its pre-sale press release, Sotheby’s had noted that only two dozen pure pink diamonds above 10 carats had ever appeared at auction. Also left untouched was “The Burma Rose” (lot 374), a gorgeous 10.37-carat rose-red oval ruby from Mogok. Some other lovely things did move, however, including a 16.40-carat Kashmir sapphire (lot 442) and a 12.6-carat cushion-shaped mixed-cut Colombian emerald (lot 440). 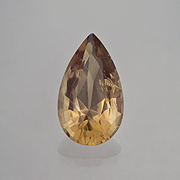 A 27.08-carat Burmese sapphire also sold (lot 401); it is illustrated in Natasha Kuzmanovic’s life of Raymond C. Yard, whose career in jewelry began at age 13 as a Marcus & Co. doorboy. The firm that bears Yard’s name would cater to many of the household-names of the first half of the twentieth century. Diamond Demand to Double by 2020: A passed-over pink notwithstanding, the demand for diamonds is expected to exceed supply, according to a Bain & Company report issued on December 8. A 2.8-percent growth in annual supply won’t sustain a 6-percent growth in demand. China and India are expected to push the global demand up 100 percent by 2020. Expect price hikes, especially for larger sizes. 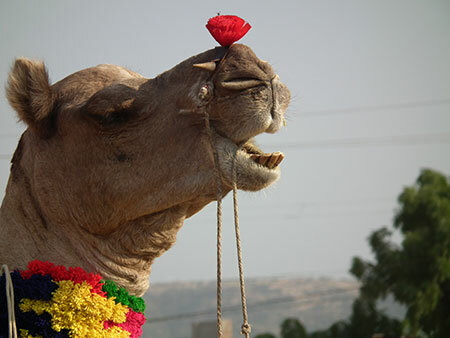 Fueling the Frenzy: Friend-of-Pala, M. S. Shah Jahan, has written an overview of just who is plunking down the big bucks for those larger luxuries. Boom to Bust: A pumped-up diamond market certainly would have been welcomed by BHP Billiton, owners of the Ekati diamond mine in the Canadian arctic. Problem is, the promising deposit that was discovered in the 1990s is projected to close in 2019 due to being tapped out, as reported November 29 by Financial Post. All that Glitters Not Gold in Ghana: Gold is a perennial portfolio piece for many an investor. A number of foreign investors have turned to gold from Ghana only to be burned. Al Jazeera investigative reporter Anas Aremeya Anas takes viewers undercover into a racket that has grown from ten police cases in 2007 to twenty by the fall of 2011. Bust to Boom: Every year, Victoria’s Secret commissions a Fantasy Treasure Bra for its annual televised fashion show. This year’s bra was designed by London Jewelers, employing 142 carats of “white” and yellow diamonds, including two 14-carat yellow diamonds and two 8-carat white diamonds that hang from a central tassel. The scallop-shaped lingerie item features pearls, aquamarines and citrines set in white and yellow gold—3,400 hand-set stones in all, according to various news reports. Some of most detailed views of the workmanship are in this Victoria’s Secret streaming video. Price tag: $2.5 million (bodyguard extra). For a few million more VS could have picked up a pink diamond to match its signature hue. Quantum Entanglement in Diamond: Physicists are using diamonds to study quantum entanglement, as described by Ars Technica. 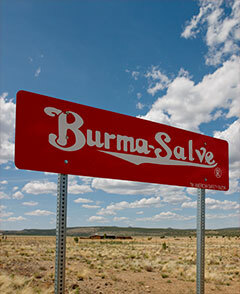 Pop Quiz: Name the country with the most investment in Burma for the 2011–12 fiscal year. China? Thailand? Singapore? Wrong. Now name Number Two. China? Thailand? Singapore? United Arab Emirates? Wrong. Answer: Zip. No country other than South Korea has invested this year. That may change now that Burma was visited two weeks ago by the likes of Secretary of State Hillary Clinton. In a report on Clinton’s visit, Newsweek’s Ron Gluckman gushed that “with the government showing signs of a liberalizing shift, Burma is giddy with change.” A Reuters story on December 7 claimed that property prices in Yangon soared just hours after Clinton left the country. Several pundits have remarked on President Thein Sein’s reforms, including the halt (at least for now) of a power generation project benefiting China, in the face of local opposition. Prior to Clinton’s trip, Associated Press called Burma the “first rogue state to accept Obama’s offer to cooperate,” an offer he’d made when he took office three years ago. With Pala Presents, we offer selections from the library of Pala International’s Bill Larson, who will share with us some of the wealth of information in the realm of gems and gemology. While much of the writing will be of a certain vintage, such as our 1957 reprint referenced here, more recent material also will be presented from Pala’s colleagues around the world. 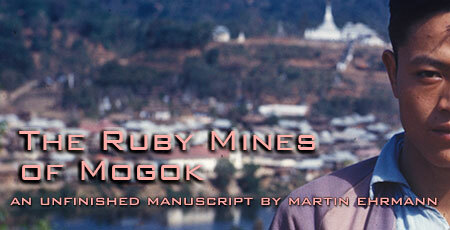 Earlier this year we treated readers to Martin Ehrmann’s unpublished (and unfinished) manuscript, Ruby Mines of Mogok. 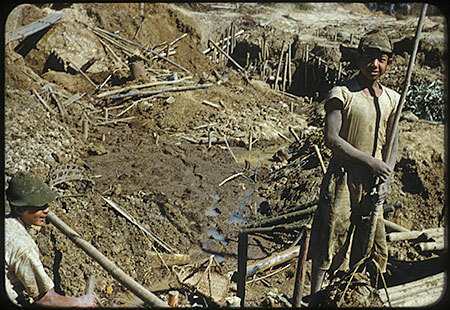 We followed up with his 1957 Gems & Gemology article, Gem Mining in Burma, which contains substantial overlap. This month we offer Part One of another 1957 three-part article with material that will be somewhat familiar to readers of the other pieces. We offer it, however, so that people interested in the subject will have multiple resources as well as mid-century images of the mines, methods, miners and dealers of Mogok and elsewhere. 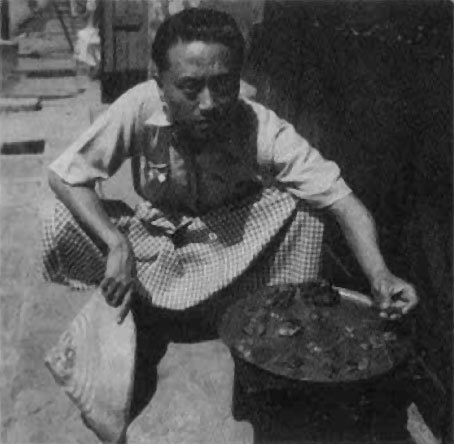 Burma, The Mineral Utopia, was published in the second half of 1957 by The Lapidary Journal. Ehrmann recalls his frustration with relatively paltry mineral and gem field work, and the subsequent delight at discovering the Elysian Fields of Burma. 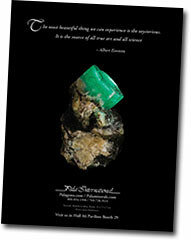 Two months in Burma, Ehrmann wrote in his preface, could yield more than 250 mineral specimens and some rare gems. In Part One of this three-part series, Ehrmann focuses on Mogok, discussing the geography, people and mining methods. Ehrmann also gives his take on the geology of Mogok after stating, “The origin of the Mogok gem area has not been described anywhere, as there has been no scientific investigation made to date.” Readers of our sister e-publication, Pala Mineralis, will have seen another of this month’s Pala Presents offerings: a PhD dissertation by Kyaw Thu, “The Igneous Rocks of the Mogok Stone Tract: Their Distributions, Petrography, Petrochemistry, Sequence, Geochronology and Economic Geology,” completed in 2007. In this edition of our newsletter we look at gems, gems, gems. Smoky opal, phenomenal peridot, cleaving calcite, canny corundum, pearl’s papa-mama, and rajas’ riches. 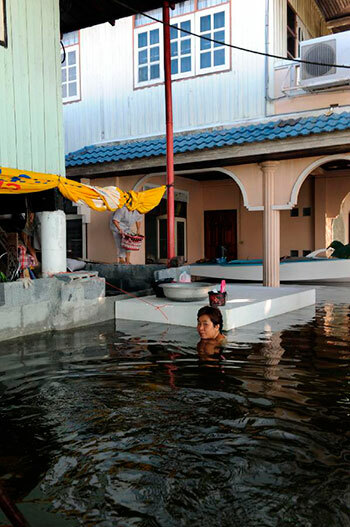 Flooding in Thailand continues to devastate. 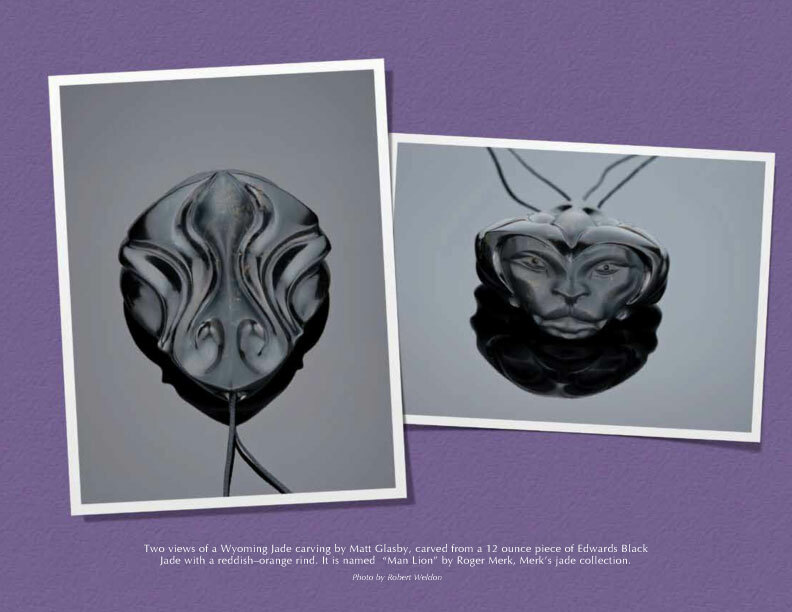 This month we suggest you support The Ganoksin Project, which has been a forum and resource for jewelry makers since 1996. Ganoksin’s Hanuman Aspler is shown above, paddling through his offices! Visit Ganoksin’s "flood journal” and then for every $35 you donate, you are entered in a drawing for $10,000 worth of gift certificates from jewelry supply firm Rio Grande. Donate today and the following could be yours. Chenzhou, Hunan, China will host the 2nd International Mineral & Gemstone Conference & Show beginning with a pre-conference auction on November 27. A one-day conference will be held November 28. A mineral and stone fair, November 28 through December 7, will feature 30,000 square meters of dealer displays and 5,000 square meters of special exhibitions. The event wraps up with a visit to either the Shizhuyuan Mine or Baoshan Mine. Chenzhou is a world-known mining center and has been producing a large amount of world-class minerals, including beautiful fluorite and calcite, valuable bournonite and stannite, and rare hsihuanite etc. 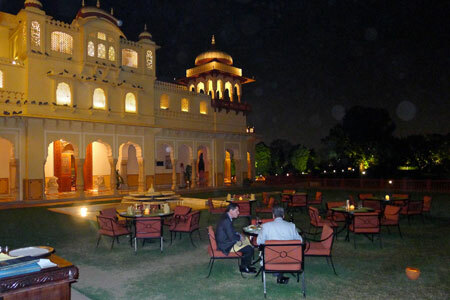 The International Colored Gemstone Mines to Market conference was held earlier this month in northwestern India’s Jaipur—the Pink City (a reference to the city having taken on a rosy hue for a visit by the future Edward VII). A précis of the proceedings is available on the conference’s website. 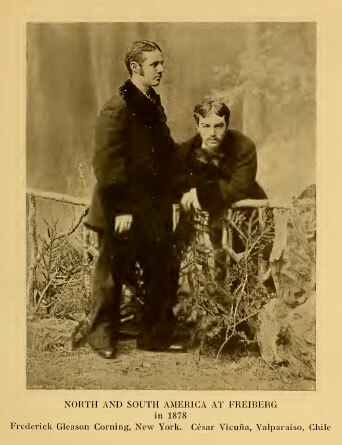 In a follow-up email regarding the conference, presenter Richard W. Hughes stated that the event was perhaps the best he had ever attended. 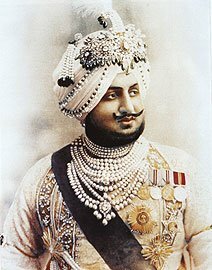 Bhupinder Singh, who for the first four decades of last century was Maharaja of Patiala, performs his princely duty. If you missed it at the Victoria & Albert two years ago, you have a second chance to see “Maharaja: The Splendor of India’s Royal Courts,” which just opened at San Francisco’s Asian Art Museum. Actually, the two shows are not identical, since the Asian Art Museum has different donors and the museum is using some objects from its own collection. 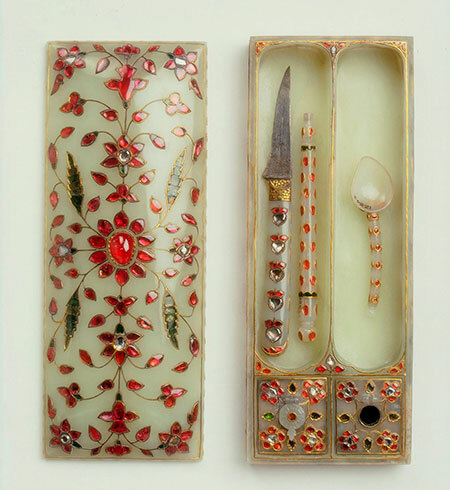 In this day of Occupy Oakland just across the bay, we might be given pause regarding the prospect of ogling opulence, as was Qamar Adamjee, the museum's assistant curator of South Asian Art. An exhibition on the splendors of India’s royal courts initially aroused my skepticism. There should be more compelling reasons for an exhibition than merely to admire two hundred beautiful objects. A quote from the V&A website bears repeating, however, because it is an indication of the thoughtfulness with which the exhibition has been crafted. The website link above contains several images of examples from the exhibition. Following is a tempting sample. Valuation of the treasure at Sree Padmanabhaswamy Temple, amassed for a couple of centuries by the maharajas of Travancore, was to begin as early as November 9, according to an October 16 story in The Hindu. 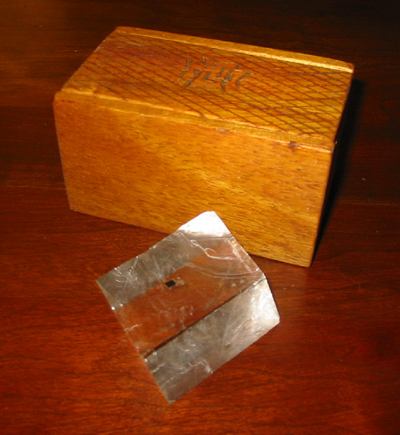 The valuation process would require moving the metal objects into special wooden boxes, with equipment to be used to judge the artifacts’ purity. Each object will be entered into a database and be photographed three-dimensionally. Even X-ray fluorescence will be used in cases of unknown metals. A committee appointed by the Supreme Court expressed worries that jewels and gold items were languishing in iron trunks in humid vaults. Eventually the contents of all six vaults will be consolidated in a secure storage facility to be built near the existing vaults. The new facility will feature “micro-climate zones” in several chambers. For background, see our coverage from September. 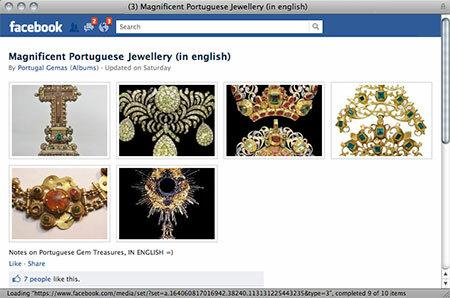 See some superb gem treasures from Portugal, and lengthy descriptions, courtesy Rui Galopim de Carvalho, on Facebook. The yellow chrysoberyl pendant will floor you. From the third quarter of the 18th century, it is a monochromatic masterpiece housed at the Museu Nacional de Arte Antiga (do a search on “gemas” at that website and see some ecclesiastical objects). 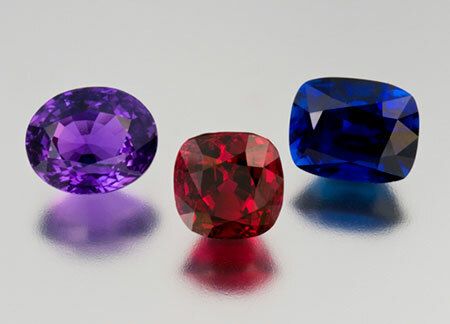 This month we feature the bounty of the corundum family: all-natural Mozambique ruby, Madagascar blue sapphire, and a Madagascar purple sapphire. This is a beautifully vivid trio exhibiting the best in each class. Just some of the freshly picked gems from Bill and Will’s recent trip to the Far East. The 3.59-carat ruby comes to us from Mozambique, where some of the finest natural reds are being produced currently. Reminiscent of the Burma pigeon’s-blood red color, this dark and intense crimson stone illuminates in the daylight. The 3.65-carat blue sapphire was mined in Ilakaka or perhaps in Andranondambo, Madagascar, once again where the finest of natural blues seem to bubbling up lately. It features rich, Kashmir-like blue with deep saturation and a classic cushion cut. The 3.70-carat natural purple sapphire was most likely mined in Ilakaka, Madagascar, famous for fancy colors. This unique sapphire is quite amazing, shifting from purple to violet in different light sources. 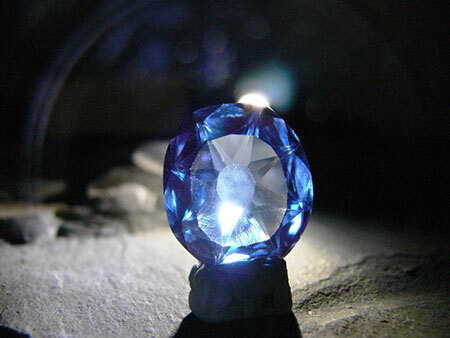 Vivid color raises the purity to levels rarely seen in sapphire. For information on the gemstones of Madagascar, see “Sorcerers & Sapphires” by Richard W. Hughes, Vincent Pardieu and Dana Schorr. Interested? 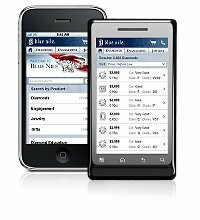 Select the inventory numbers above, call, or email us to inquire. 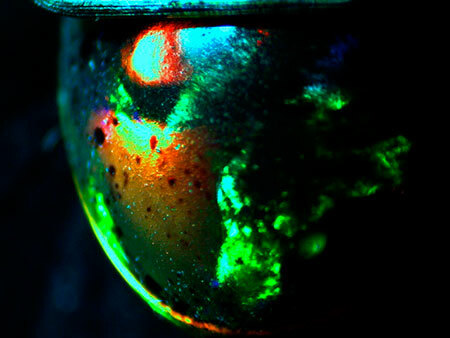 Be aware, an old treatment process has been put back in the pipe and is, well, smoking the Ethiopian opal out. 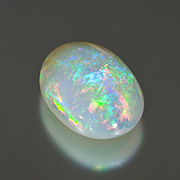 This smoking process, dating back to the 1980s, has been reintroduced to some of the white “Wollo” opal from Ethiopia to create a dark body color. This hydrophane opal is an ideal candidate for smoking because of its porous nature, which allows the smoke to penetrate, leaving an even, dark body color behind. Once you get familiar with the treatment, you could sight-ID these treated opals by seeing pockmarks and smoke concentrations. Laboratories simply look for carbon peaks at 1150 cm-1 (Raman) indicating burn residues. The treatment is stable and would even take some re-polishing since the smoke is deeply penetrating. 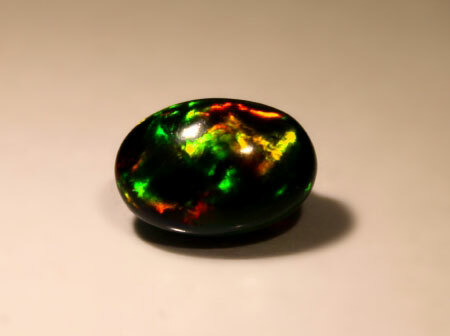 The problem isn’t the treatment—it’s the unscrupulous characters trying to pass the opal through as natural black opal. Editor’s Note: While the following might appeal more to readers of our sister publication, Pala Mineralis, the “phenomenal” nature of these materials may be of interest to colored gemstone enthusiasts as well. Gemologists know that interpretation of crystal growth patterns can answer difficult questions regarding inorganic precious materials. Pearls and their hosts can be considered from a similar perspective—looking at the structure and process of assembly of the materials they are made of. This calls for a tour of biogenic mineralization, a widespread mechanism in nature where hard, inorganic material is created within organisms. BioMineralix, an interdisciplinary network hosted by the European Cooperation in Science and Technology (COST) framework, is one place to look for pearls in this field. Pearl-peppered Pteria (sterna). Dozens of golden seed pearls, above, produced by a heavily injured Pteria sterna, aptly also known as the “Rainbow Lipped Pearl Oyster.” The shell displays a large repair as evidence of its dramatic story of survival: in the image below, the patch of nacre featuring folds and small embedded pearls is a second layer of nacre lining—detached from the exterior of the shell. This shell and its dozens of pearls were donated by Douglas McLaurin (Perlas del Mar de Cortez) for study. Fresh shell photo: Douglas McLaurin. The second photo shows the current state of the specimen, presently at the University of Granada. 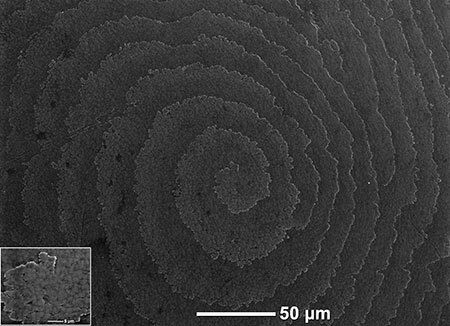 In addition to standard nacre growth corresponding to ideal models of self-assembly , exceptional circumstances yielding mineralization anomalies in shell repairs  and cultured pearls  are subjects of interest. As in nature, natural pearls are also rarer on paper. So are pearl gemology questions; an imaginary follow-up on Haynes would need to thread lightly through a collection of interconnected disciplines. The working groups of BioMineralix give a taste. BioMineralix is an interdisciplinary network funded by COST, which aims to coordinate potentially fragmented research investments in Europe, and to facilitate worldwide collaboration, in nine key “domains,” including Biomedicine and Molecular Biosciences. This particular domain funds dozens of “actions,” including that of BioMineralix’s Action TD0903, described here. Perhaps not unlike the way in which some inorganic gemology questions (think: origin determination) may relate to crystal growth and earth sciences, the questions that systematic surveys of current pearl culture conditions can’t answer off the bat tend to be difficult ones. 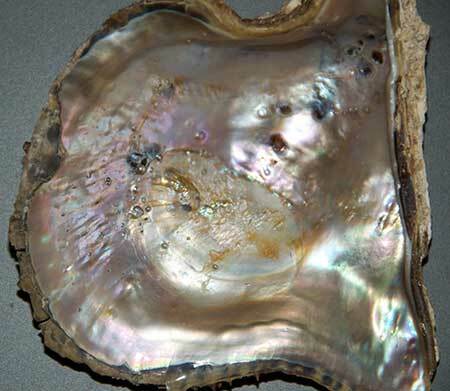 The current discussions of pearl nomenclature and identification  fit the bill. Answers may not be readily on the shelf, but there isn’t much far beyond the shelf of biogenic mineralization that gemologists and the rest of the pearl trade do not have in their analytic toolbox already. The common ground remains to be charted in a common language. Pearls—especially the morphologies sought to be significant for gemology—will have to be made accessible and significant to debates of biogenic mineralization. Of course, the recipe is not new, taking the ongoing exchange of notes between pearl farming and biogenic mineralization as a case in point. Natural pearls have some catching up to do since the 1930s. • Jacob, Soldati et al., “Micro-Raman spectroscopy of pigments contained in different calcium carbonate polymorphs from freshwater cultured pearls,” Journal of Raman Spectroscopy, 2008, archived here. • Nicholas Sturman, “GIA’s 48th Gemstone Gathering: Pearl Matters—Conchs, Pens & CT Machines,” archived here. • Kenneth Scarratt, “GIA’s 49th Gemstone Gathering: Natural South Sea Pearls of Australia,” archived here. • SSEF, Facette No. 18, 2011, archived here. • Hector Acosta-Salmon et al., “A new approach to pearl oyster broodstock selection...,” J. Aquaculture, 2003, abstract here. 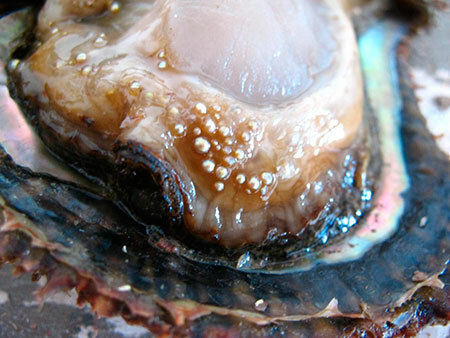 • Wang et al., “Quantitative expression analysis of nacreous shell matrix protein genes in the process of pearl biogenesis,” Comparative Biochemistry and Physiology, 2009, abstract here. Has it really been ten years since pale feldspar was transformed into the sunstone that would capture the imagination of television shoppers, eventually to become the subject of scandal? If you haven’t already seen it, Richard W. Hughes’s “Andesine: Timeline of a Controversy” will take you year by year, month by month through an account of veracity and verisimilitude. Neither our driver nor our guide knew our plans until the last minute; indeed, even I was unsure we would be able to visit the deposit. In this edition of our newsletter we offer a harvest cornucopia of news and information. See our cinnamon stone—perfect for mulling (over)—and our our new mining blog—ready for haunting. Thailand, as you surely know, is experiencing the worst flooding in half a century. Please give back to a country that has given the colored gemstone industry so much. We can suggest The Thai Red Cross Society, but whatever your choice, please give. Thank you. The centerpiece of these European Classics will be an exhibit of interest to colored gemstone lovers, on the history of the Wittelsbach-Graff Diamond, as the state of Bavaria celebrates The Blue Year 2011, to mark the death of King Ludwig II in 1886. 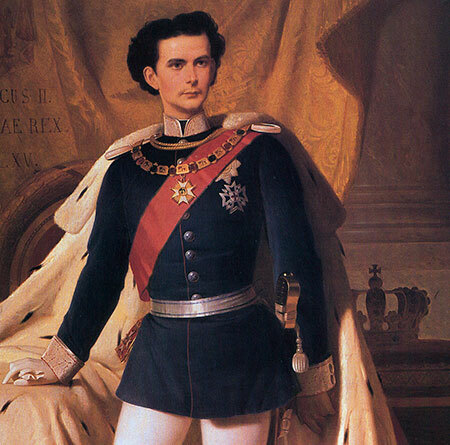 Ludwig’s kindness was legend even if his attention to regnal duties lapsed in later years. He funded construction of the famous Bayreuth Festival Theatre that features the work of Richard Wagner each summer, and built a series of extravagant castles and palaces, a legacy that draws tourists to this day. (See this photo essay from The Atlantic for a taste.) Declared insane, having a sexual secret, and dying mysteriously, Ludwig’s story has been told by writers, filmmakers, playwrights, musicians—and at least one cartoonist. 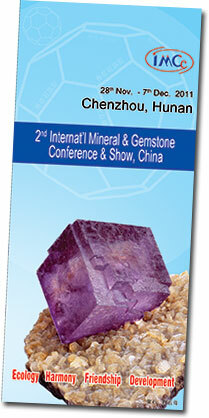 While known for minerals, the Munich event includes a show-within-a-show: Gemworld Munich. 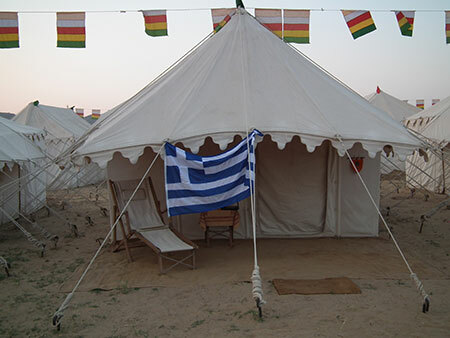 As of May 30, 240 exhibitors were on board for the third year that this “world” is offered. In a New York Times article published June 19, regarding jeweler Laurence Graff’s inroads to China, home to burgeoning billionaires, somehow we missed a line. The Wittelsbach Graff sold recently for an undisclosed amount. This famous blue diamond would have made quite an attraction were it to be displayed at the Munich Show, this being The Blue Year and all. We were told by Dan Ravasz, publicist for the show, that as late as September 23 there was a possibility, but the webpage for the special exhibit on the diamond’s history has dashed those hopes. 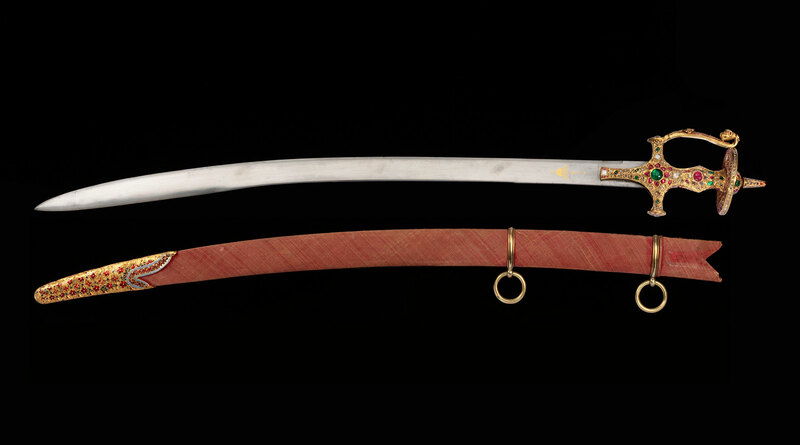 Replicas, such as the one shown below, will be used to “present the three last known grindings of the stone” in the exhibit. This will include the most recent, executed by Graff, and reducing the 35.5 carat weight by 4.45, a move that left aestheticians apoplectic in early 2010. Bavarian blue. Above, a spinel replica of the Wittelsbach (pre-Graff recutting) by Rudolf Dröschel (copyright by Dr. Bernhard Graf). Compared with some of the “stop-the-cuts” commotion at the time, the Munich Show website today puts it mildly: “Although the stone became more ‘fire’”—GIA upgraded it, in fact—“it lost its significance as a Bavarian leading stone.” Antwerp’s Gabriel Tolkowsky, whose great uncle Marcel originated the modern round brilliant cut, told Der Spiegel that recutting the Wittelsbach portends the approaching “Ende der Kultur.” Hans Otto Meyer, director of Berlin’s Deutschen Historischen Museums remarked that the new faceting (which, for the record, maintained the pattern of the original) was like painting over a Rembrandt. To which, Graff’s son François also made a fine-art comparison, telling BBC, “If you discovered a Leonardo da Vinci with a tear in it and covered in mud, you would want to repair it. We have similarly cleaned up the diamond and repaired damage caused over the years.” This is a repair that, according to Richard Wise, even if performed on a smaller blue diamond, would have added at least $500K—per carat. 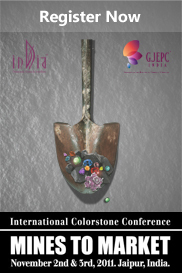 Early next month the “first ever” International Colored Gemstone Mines to Market Conference will be held by the Gem and Jewellery Export Promotion Council of India (GJEPC), in Jaipur, Rajasthan. As its name implies, the conference assembles experts from around the globe to discuss the international colored gemstone market. 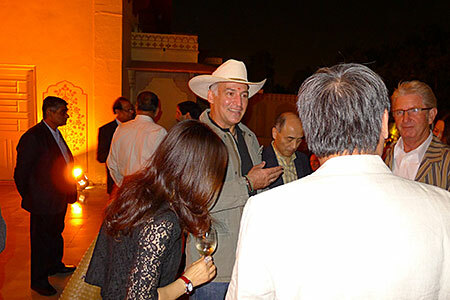 It follows the GJEPC’s International Diamond Conference held last year. Pala International’s Bill Larson was slated as a speaker, but he is unable to attend, due to conflict with the Munich Show, above. The company he would have kept includes the following, taken from the show website. GJEPC calls the gems and jewelry industry “undoubtedly the fastest growing industry in the world.” India is a key player in an industry that has shown relative resiliency in the face of marketplace challenges, thus providing the country with economic and employment benefits. 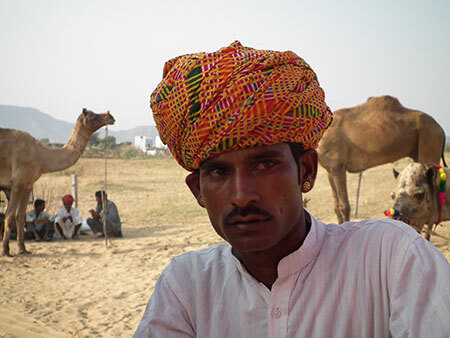 In Jaipur alone, the Council claims that over 100,000 people are involved in the colored stone trade. This month we feature a hessonite garnet from Sri Lanka. Hessonite is a variety of the grossular species in the garnet group. Also referred to as “the cinnamon stone” due to its golden orange hue, hessonite takes on the color of fall and the upcoming Halloween spirit. Hessonite is known for its heat wave effect or roiled appearance internally which can be diagnostic for the variety. 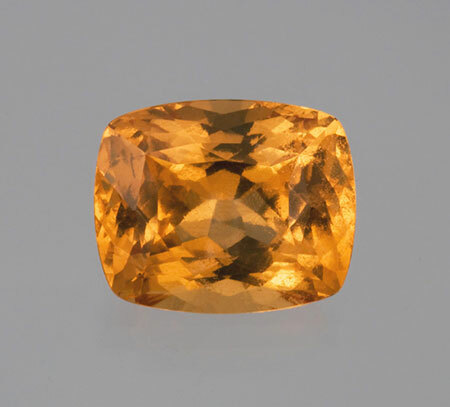 This 23.21-carat hessonite is definitely large for its kind and comes to life with a beautifully faceted cushion cut. 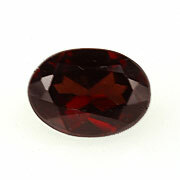 An unusual beauty, suited for the rare garnet collector or a specimen to work into a fall fashion piece of jewelry. Check out all the wild varieties of garnet we have at Pala—from andradite, pyrope, spessartite and rhodolite—here and begin your search. As Pala International moves into new mining ventures, we offer the following, from a lode of our own data mine. The following quote, from Corning’s A Student Reverie: An Album of Saxony Days (Frieberg near Dresden), appeared in our May 1997 edition of The Gem Spectrum, which was edited by Pala’s own Gabrièl Mattice. 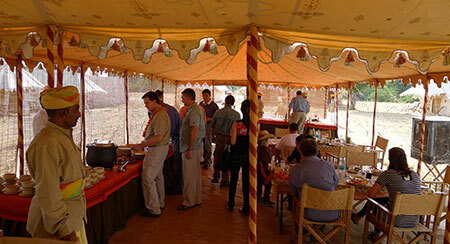 It followed some notes by Bill Larson on underground mining methods in Mogok, Burma. Some time back we heard through the grapevine that Elise Skalwold was being considered for editorship of The Gemmological Association of Great Britain’s (Gem-A) prestigious periodical, The Journal of Gemmology (JOG). This was confirmed last month in the pages of Gem-A’s bimonthly magazine, Gems & Jewellery, current edition. 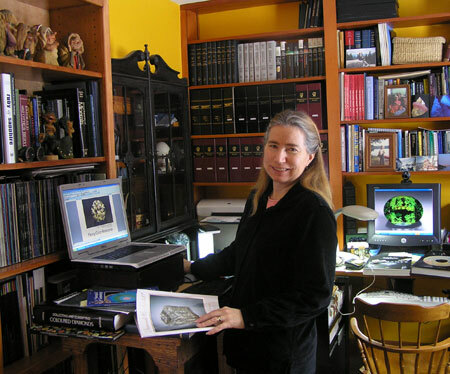 Elise, who has filled our own pages with items of interest, currently writes abstracts for JOG and Gems & Gemology, and has served as guest editor and author for ICA’s InColor magazine. Elise Skalwold, the new editor of The Journal of Gemmology. 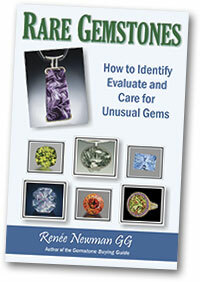 So, why not plug The Journal of Gemmology a little more? The current issue includes an article by Dr. Karl Schmetzer, whose work we’ve highlighted (alexandrites in Zimbabwe, his monograph Russian Alexandrites). “Measurement and interpretation of growth patterns in chrysoberyl, including alexandrite” is the current article. The study looks at growth zoning features in alexandrites from Russia, Sri Lanka and Brazil, and twinned chrysoberyls from Madagascar are examined in depth. Read the abstract here. At Carat Gem Lab, interspersed between lovely representations of a wide range of colored gemstones, are now dozens of identified inclusions. The photomicrographs feature both natural and synthetic examples. See the gallery here. Metal minis. 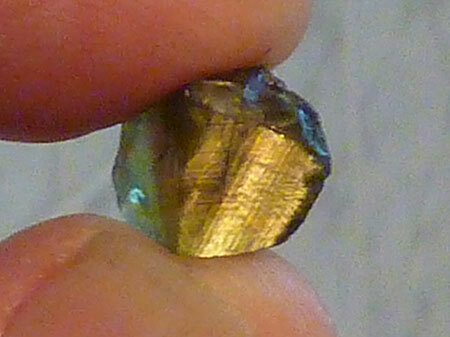 Two metallic inclusions trapped in a yellow synthetic diamond. To the right of them is a small, white, slightly reflective fracture. From the gemstone and inclusions gallery at Carat Gem Lab. 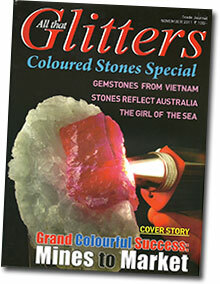 For a study of this material in China see the July–September 2011 edition of Australian Gemmologist. 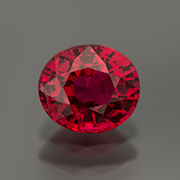 Identification: Synthetic Glass/Treated Ruby (GRS-type “Hybrid Ruby”)* *Comments: Heat-treated and filled with a colored foreign solid substance (including lead). Special care required when handling. Also known as Composite Ruby. *See Enhancements section of the AGL report for additional comments related to the durability and special care of this product. The same edition of Journal of Gemmology featuring the article on chrysoberyl growth patterns, which we referred to above, contains an article that reminded us of an industry concern that we covered a few years ago. As the article notes, in July the Jewelers Vigilance Committee began giving the trade “a refresher course” on the regulations. Brush up on it here. 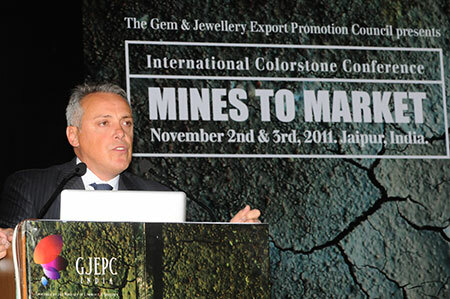 In our notice of the international “mines to market” show in Jaipur, above, we remarked on the resiliency of the colored stone industry. Diamonds, it seems, are another matter, if a move by Harry Winston is any indication. A week ago, the diamond firm, which produces rough in Canada’s Northwest Territories, announced it would “not make broader rough diamond sales into an unstable market that seeks bargains.” This means “significant rough sales revenues from this period will be deferred into the fourth quarter, and possibly subsequent periods.” The firm also noted that Jewish and Indian holidays at this time of year traditionally have lulled the rough diamond market, with “a return to normality” expected in November. See also this October 11 story from Financial Post. Online jeweler Blue Nile may have set a milestone, selling a diamond engagement ring costing more than $300,000. Previously, according to a story by Internet Retailer (IR) on September 15, “frequent” sales had been made at Blue Nile in the thousands to tens of thousands. 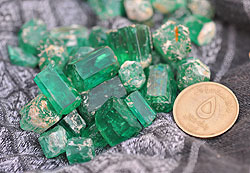 Ronald Ringsrud, in a recent report, stated that fine emeralds “were moving” at last month’s Hong Kong show. Commercial stones didn’t fare so well, however. Ron quotes Pala International’s Bill Larson as saying that current economic concerns at the show caused Asian buyers to do little but just “kicking tires.” Also in Ron’s report is a photo of 20-, 40- and 60-carat emeralds from a 50,000-carat yield of rough from the Mina Real, a small mine near the Muzo mine. 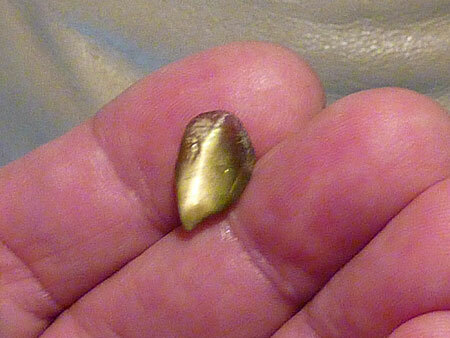 Photos from just after the June discovery, of the rough being pawed and polished, are eye-opening. GIA’s G&G eBrief is posted publicly with a bit of a delay, so the July 6 edition is the current edition. It includes a brief (you expected otherwise?) update on emerald mining in Afghanistan by GIA Bangkok’s Vincent Pardieu and Guy Clutterbuck of CGM Ltd., Dublin. They spent three days in the Panjshir Valley, and while they’d hoped also to travel to two of the other major mining areas of Jegdalek and Badakhshan but, well, there’s a war on. And the embargoes of war affect the miners, as you will read. That production was good at the time of the visit, last May, may be reflected in the several emails Pala receives from what are purported to be U.S. military personnel wanting to liquidate their stash. The report also discusses how Afghanistan’s export system might be improved to promote legal distribution. 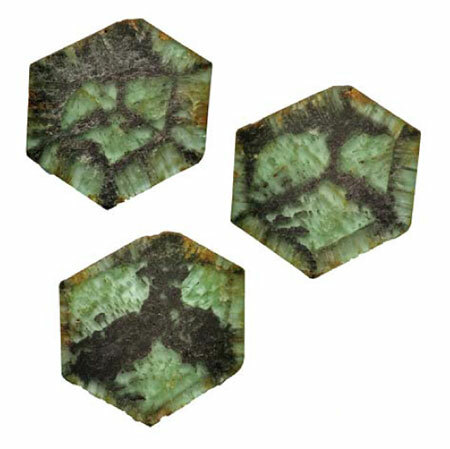 Recently, we received two calendars from a series on North American jades from Roger Merk, who our readers may recognize as the force behind the annual Sinkankas Symposium. These are fifteen-month calendars starting with October 2011 and finishing with December 2012. Actually, Elizabeth Taylor had violet eyes, but she certainly had an eye for green, as evidenced by the lead images (also shown at right) from a September 26 Mail Online photo spread. Selections from the collection of Elizabeth Taylor were placed on display in London the next day, ahead of a New York sale by Christie’s in December. Superlatives abound regarding the collection, and the photos do overwhelm. 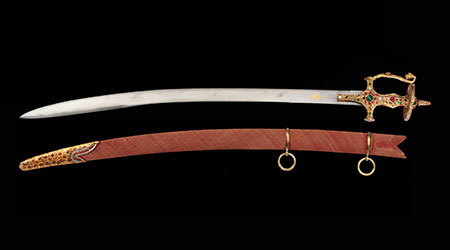 Christie’s, for its part, has devoted a section of its website to the sale, which commences December 13. 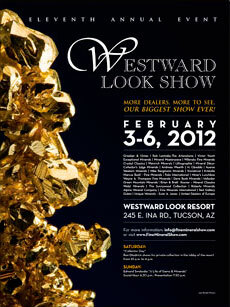 The four-day sale will feature a total selection of 269 jewels. The estimated total sale will top $30 million. 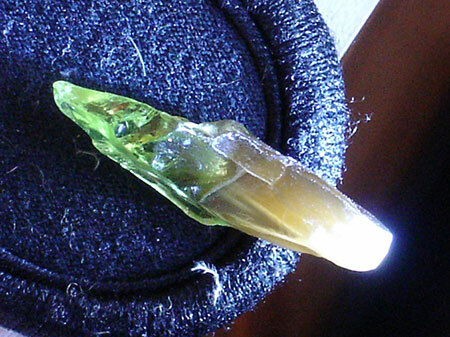 News out of Burma this month, which we can hardly ignore, isn’t directly gemstone-related, but they may have a trickle-down effect, and in at least one instance we can see a connection between a new approach and impact on Burma’s gemlands. Perhaps the most startling development was the government’s suspension of a dam project underwritten by China, following popular opposition, on September 29. And two days before, a release of prisoners was announced, which took place last week—a release of 200 people that even Myanmar Times (MT) yesterday called “prisoners of conscience.” News watchers may be disappointed because the original number was to be upwards of six thousand. But interest across Burma was not diminished: most “news journals” sold out between October 12, the day of the release, and October 14, according to MT. Journal vendor Ko Aung Ko Latt claimed that this prisoner release garnered more focus—outpacing last May’s freeing of more than 14,000 prisoners—was that media coverage included the P-word, political. Press in Burma appears to be on the move, as reported earlier by MT. “Press censorship should cease as part of reforms,” read one headline, and “Ethnic-focused journal plans for November launch,” read another. There also were signs of new engagement—diplomatic but also military—with the government by ethnic groups, a reminder that Burma, nominally a “Union,” has a long history of ethnic tensions, some of which have impacted the country’s gemlands. Yet resource-rich states like Kachin and Shan—rich also in gems and ethnic stress—have received 65% of foreign investment compared with 8% in Yangon, per an unnamed economist quoted in an undated but recent Eleven Media Group story. The July–September 2011 edition of Australian Gemmologist features Rod Brightman’s “Less frequently encountered gemstones – Painite.” (Browsers of Palagems.com will encounter painite perhaps more frequently.) Brightman turns back to 1952, when only three specimens were known, bringing us up to the 21st century when a new find was discovered in Mogok. 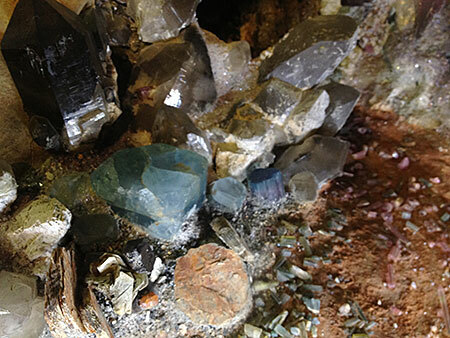 In this edition of our newsletter we’re pleased to announce that we’ll be offering fine mineral specimens at this year’s Mineralientage München in October. Before that—next week, in fact—we’ll see you in the aisles of the September Hong Kong show. Meanwhile, in observance of encouraging signs in Burma we offer some lovely ambers from a recent visit, and some historical perspective from the concluding chapters of Martin Ehrmann’s The Ruby Mines of Mogok as well as a companion reprint from Gems & Gemology. A press release states that this year’s fair already has set a new record: all booths in both fair venues are sold out. And AsiaWorld-Expo had even added a ninth hall. And this year sees the debut of the France Pavilion. Bavarian blue. 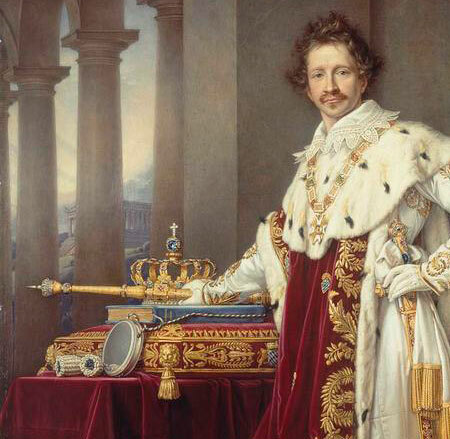 Ludwig I, below, in the 1825 coronation portrait (by Joseph Stieler, famous for his depiction of Beethoven) with the crown that his father, Maximilian IV Joseph von Wittelsbach, commissioned upon his coronation as King of Bavaria in 1806. The story of the jewel in the crown, now known as the Wittelsbach-Graff, will be a featured exhibition at the Munich show for the 125th anniversary of the death of Ludwig’s grandson, Ludwig II, whose crown, rendered differently (second below), remains in the shadows of his 1865 coronation portrait by Ferdinand von Piloty. Above, a spinel replica of the Wittelsbach (pre-Graff recutting) by Rudolf Dröschel (copyright by Dr. Bernhard Graf). When most of us hear amber we conjure up visions of some amorphous blobs of honey-colored sap with insects trapped inside. 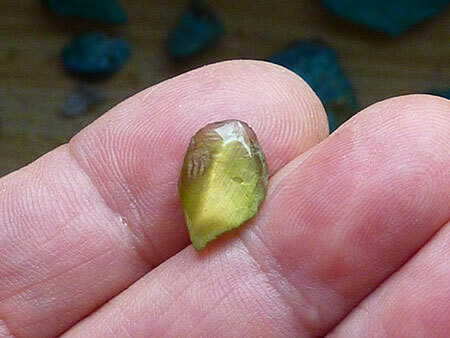 Usually this is the state in which you find amber, but during Pala International president Bill Larson’s last trip into Burma he found that the Burmese were faceting this hardened tree goo. 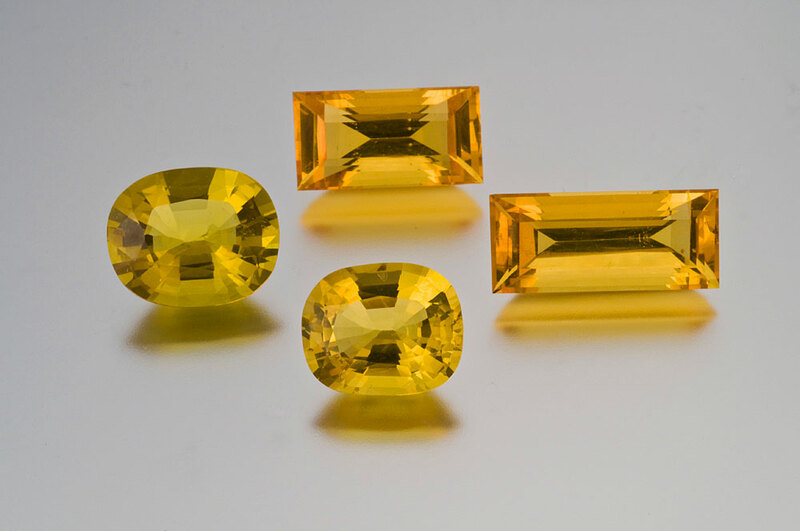 It was kind of a sweet surprise to see these colorful, faceted golden ambers, a new twist on a fairly common gem. 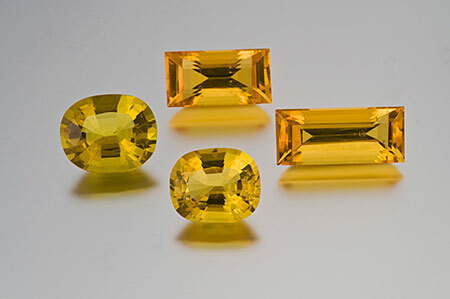 Another interesting property is that the specific gravity of amber is so low, a 4-carat gem actually appears to be what we would normally consider a 10-carat stone. Large, light-weight, honey amber jewels…. Fun for the whole family. See our selection of amber here. Our featured ambers, above, are bright and clean. 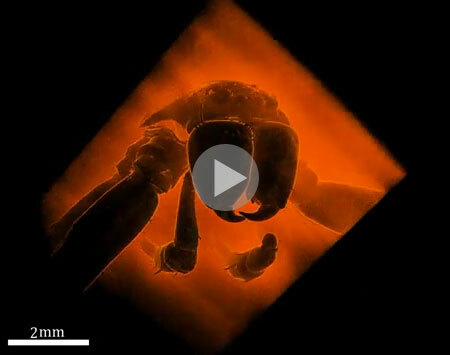 But ever wonder what might be lurking within less desireable material? A tiny specimen housed at the Natural History Museum in Berlin held an obscure outline, barely visible even under a microscope. The specimen was one of many from the mid-19th century collection of Georg Karl Berendt, and was said to include the oldest example of a so-called huntsman spider (family Sparassidae). The specimen in question raised doubts, however. Huntsman spiders, which today live in the tropics and southern Europe, can have a legspan of nearly twelve inches, meaning that only rarely are they trapped by tree resin. Nevertheless, the researchers, using X-ray computed tomography, which provided the detail they needed, verified this to be the oldest huntsman—49 million years old. 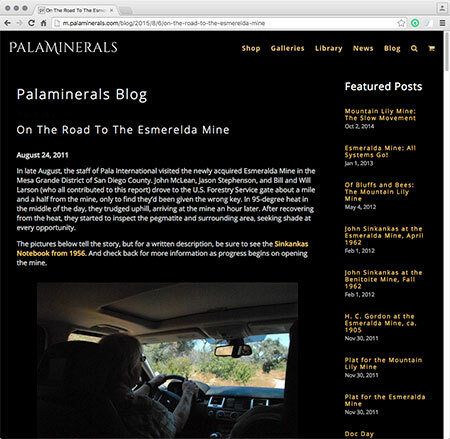 We look forward to blogging next month about developments at the Esmeralda Mine, which Pala International recently purchased (see last month’s story) in the Mesa Grande District of San Diego County. Stay tuned for details. But in the meantime, mining heated up—literally—in the nearby Pala District, just before Labor Day. A wildfire, burning in all directions, covered the south side of Tourmaline Queen Mountain, home to three mines whose names will be familiar to our readers: the Tourmaline King, the Tourmaline Queen and the Stewart Mines. 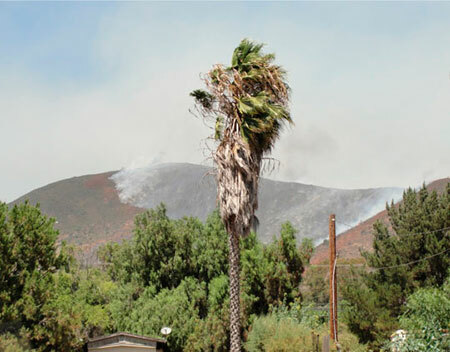 It was Blue Sheppard, of the Stewart’s owner Millennium Inc., who called up Erik Cordova of San Diego Mining Co. to let him know that his mines—the Tourmaline King and Queen—might be on fire, around noon on August 29. Cordova and business partner Scott Ritchie wasted no time in driving to the scene—Tourmaline Queen Mountain—which was on fire. Cordova gave us a detailed and illustrated report of the twists and turns that he and Ritchie experienced during the two-day fire, which we posted on our sister site, Palaminerals.com, on September 2. The journal Science published on August 25 the discovery of “A planet made of diamond,” as it was characterized by a press release from Melbourne’s Swinburne University of Technology. 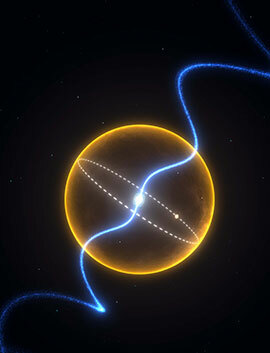 (The paper was published under the more prosaic title, “Transformation of a Star into a Planet in a Millisecond Pulsar Binary.” An international team led by Swinburne’s Professor Matthew Bailes concluded that the planet—small, but with slightly more mass than Jupiter—likely is composed of carbon and oxygen, and likely crystalline, making it in essence a giant diamond. 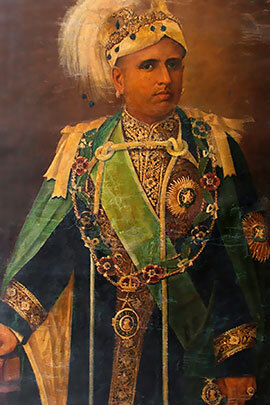 Sree Moolam Thirunal was the next-to-last maharaja of Travancore. His appearance in this portrait by Shivarama Pillai is positively austere compared with the jewels that bedeck princes from other states. Perhaps that’s because most of it was in the vault? Are there not other ways of pleasing our gods than making them wear 18-feet-long golden necklaces? Surely, the gods are not so heartless as to embellish themselves with rubies and emeralds chiselled out of the sweat and blood of the masses who paid for them through taxes for every event from the cradle to grave, including ones like the breast tax (paid for breastfeeding) as in the case of Travancore. Mannathukkaren refers to the princely state of Travancore, whose erstwhile royal family has been custodian of the temple treasure even as their dominion was supplanted by civil and constitutional means. The family’s Rama Varma the week before had defended the notion of keeping the single unopened temple vault closed. Several other articles, all from The Hindu, are noted here. The September 10 print edition of The Economist noted that prices for high-quality colored stones have risen enough so far this year to put “Rubies in the sky with diamonds” (the title of the article). Dealers, the article claims, say that high-quality rubies have seen prices double in two years, and increase 50% in the last eight months. The increase has even been seen in lower quality emeralds as well as red spinel and rubellite. 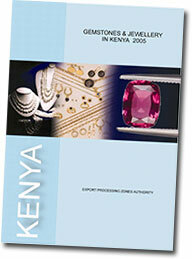 Last month, a reader kindly forwarded to us a 2005 document, “Gemstones & Jewellery in Kenya 2005,” issued by the government’s Export Processing Zones Authority (EPZA). The eight-page report covers a lot of high-level ground, with some history, overviews of industry sectors, market conditions, legal and regulatory issues, investment incentives and opportunities, references, and more. Included is an interesting comparison made during the years 1999–2003 regarding the relationship between gemstone production and its export value. For instance, 2001, which saw relatively low production of ruby, still resulted in high export value. This is due to the fact that material coming into Kenya from Tanzania and Democratic Republic of the Congo was re-exported. The gemstone and jewellery sub-sector in Kenya is liberalised with no trade restrictions. So as long as a miner or dealer is licensed, he or she can trade in an otherwise free market. Dealers can sell their products either as raw material or as finished products although the value addition process is highly encouraged. While this might sound alluring, we can’t help but recall the experience of the late Campbell Bridges, his son, and their employees, who were attacked likely due to resentment at Bridges’s perceived success in mining the green garnet that bears the name of the national park that lies nearby the deposits in Taita Taveta. “Green garnet,” in the 2005 EPZA report, is for the most part not even a pimple on the baseline of its graphs, dwarfed by ruby and gold. Q: What to do with all that sub-prime jade? A: Hold a garage sale. A local sale of low-grade jade was held August 12–16 in the administrative capital of Nay Pyi Taw, it was reported by Myanmar Times on August 22. 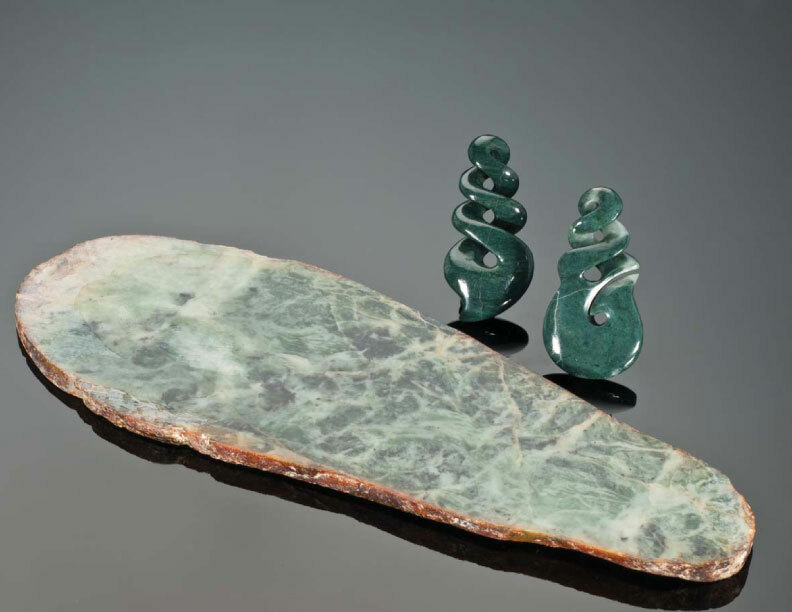 Dubbed the “Low-Grade Utility Jade Sale,” its 205 lots were on offer only to Burma buyers. Payments were in kyat rather than euros. A Myanmar Gems Enterprises official stated that 200 traders from 92 companies bought all 205 lots. Several recent stories have sustained the trend amongst commentators of cautious optimism regarding Burma’s future. Last week, the BBC asked Marie Lall, South Asia expert and Chatham House NGO associate fellow, to reflect on her month-long August visit to Burma. She surely approached her trip with some skepticism; following reforms in March, ethnic conflict began, making the road ahead a little rocky. Yet while she was in the country, “quite suddenly, things started to change,” starting with president Thein Sein’s August 17th address just before parliament was to reconvene. In his speech, he invited exiles home and spoke of social and economic reform, according to Lall. She also highlighted behind-the-scenes legislative initiatives. Two days after the speech, the president met with Aung San Suu Kyi, who also attended an economic conference. This was followed by the well-publicized visit by Tomás Ojea Quintana, UN special rapporteur on human rights, whose suggestion last year that the UN should inquire into Burma’s human rights status effectively banned him from the country until August. On the 22nd, Parliament reconvened—with the non-official press in attendance. Lall had quite a summer vacation. In late August, Reuters’s Martin Petty wrote of “rare overtures” by Burma’s leaders “toward liberalization and reform.” Harvard’s Burmese political scientist Win Min opined that Burma’s government has its eye on the rotating presidency of ASEAN in 2014—two years early—harkening back to when Maha Thray Sithu U Thant became UN secretary general. We were reminded yesterday of this last milestone by Akira Moretto, of Strategic Asia Indonesia, writing in the Jakarta Globe. Moretto—like Martin Ehrmann, in this month’s special feature below—also reminds us of Burma’s place in Asia and the world prior to the experiments of the 1960s. It’s the largest country, geographically, in Southeast Asia, bordering five countries. 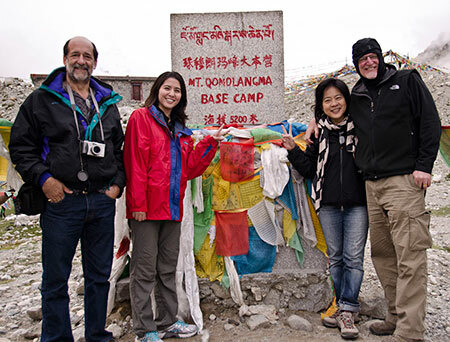 It’s a place where, as Moretto puts it, “China meets with India.” It’s a country, as noted by the late U Moe Hein, that has celebrated The Poets’ Day—“a venue of the minds”—for more than sixty years. And yet the country is marginalized by many. Perhaps not for long. When Forbes features a headline like “Burma Opens for Business,” as it did on Tuesday, sanctions like the Tom Lantos Block Burmese JADE Act seem a little old-fashioned. The second section of Chapter Five of Martin Ehrmann’s memoir of gem trading in Burma finds Ehrmann traveling with his guest Dr. Vic Meen, curator of gems and minerals at the Royal Ontario Museum, to the jade lands of Mogaung, prior to its decline as an important trading center. In addition to “5.2” we include the brief Chapter Six, in which Ehrmann takes a last visit to Mogok at about the time of Ne Win’s rise to power. To top it off, we offer an earlier gem penned by Ehrmann, “Gem Mining in Burma,” a reprint from Gems & Gemology, Spring 1957, which covers much of the same ground regarding gems, but which includes many photographs of the people, places, and activities discussed in “The Ruby Mines of Mogok.” It also provides a snapshot in time, dwelling on natural and social aspects as well as the safety challenges—aspects that were touched on lightly in Ehrmann’s manuscript. Having just made amends with the families of local merchants after a deal gone bad, Martin Ehrmann and Vic Meen travel to the jade lands surrounding Mogaung, learning the ways of the jade trade. They visit deposits that are mostly inaccessible, operating only three months out of the year. They watch the operations in a remote area and, while Ehrmann is worried about his companion’s health, he falls ill himself. Twenty-four hours later he’s in the office of the jade evaluation committee, being tutored on taxes. Ehrmann is far less sanguine in Chapter Six, having been lured to Burma a last time by Burmese dealers who happened to be in Los Angeles. He was advised that “if I wanted to come to Burma once more this was the time.” Greeting him upon his arrival in Burma, again, the ghost of the 1090-carat sapphire, dashing any thoughts that on this trip he’d be able to purchase any gems of importance.